Bruce Jenner is "a bit lonely" since ending his marriage to Kris Jenner in October and recently underwent a procedure to reduce the size of his Adam's apple and grew his hair long in a bid to stay youthful. 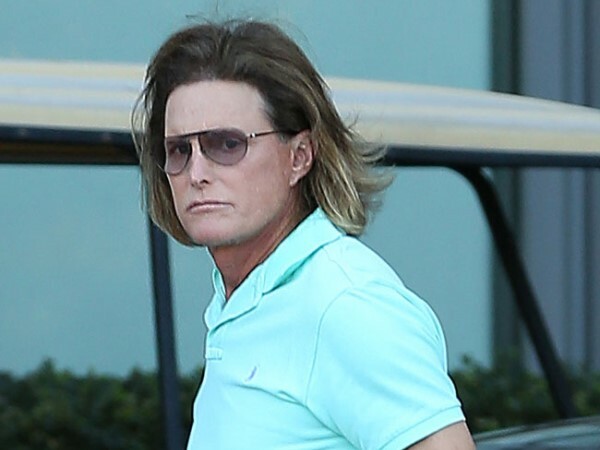 Bruce Jenner is "a bit lonely" since ending his marriage to Kris Jenner. The 64-year-old Olympic gold medallist, who announced his split from his wife of 22 years in October, is trying to embrace his freedom and reportedly underwent a laryngeal shave to reduce the size of his Adam's apple last month, and grew his hair long, in a desperate bid to stay youthful. A source told PEOPLE.com: "He totally has this 'I may be an old man, but I'm cool and young too' syndrome and no one can tell him otherwise. "He's a bit lonely, but he's doing his thing. Everything in the end of his marriage just became too much for him and his freedom is really liberating. He wanted to grow his hair long, so he did it. He wants to get manicures, so he gets them." The insider said that the Keeping Up with the Kardashians star, who moved into a bachelor pad in Malibu, California when his marriage to Kris began to crumble last year, doesn't care what anyone thinks about his new image, including his youngest daughters, Kendall and Kylie. The source said: "People in the family have brought up his hair or his clothes, whatever it is and how absurd they think it is, but Bruce doesn't care, nor does he want to listen to any kind of criticism. He thinks he looks great and cool and that's that. But at the end of the day, however ridiculous people may think he looks, he's happy about it - or at least trying to find what he's happy with - so you really can't blame the guy for that. "He's doing what he wants to do. It's just a matter of choice and not everybody has the same taste."